One read of the title of this Poker machine and most people should be able to work out what the theme is about, and yes, you're right, it's all about a fact based TV network available on Sky and Foxtel. No of course it isn't, the theme is all to do with the voyages of people like Columbus and seafaring adventures of old. This 5-reel, 25-payline pokie has been developed by Microgaming, who are one of the most prolific companies in the online casino business, so certainly know what they are doing and have built up a solid reputation for bringing out trustworthy and reliable games. This one has some decent bonus features including Wild and Scatter symbols, plus a Treasure Bonus game that pays up to 32,250 coins. The layout of the Age Of Discovery is fairly standard, with a hint of the ocean behind the reels and a couple of seagulls flapping around in the background just to hammer home the message that this is a sea-themed pokie. Although this pokie has 25 paylines, players don’t have to wager on them all, with the option to activate any number, although even just a small bet on each ensures that no winning combinations are missed. The minimum bet is just 0.01, and players can choose coin values of up to 0.50 per coin and 10 coins per line. Add that all up and the maximum stake per spin is 125.00, giving the Age Of Discovery a nice wide bet range suitable for all budgets. 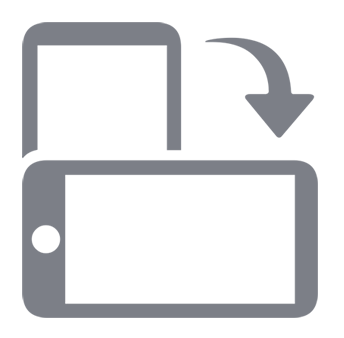 Brightly presented symbols, some of which become animated when they are part of winning combinations, include various exotic types of fruit which make up the lower paying icons. Presumably gathered by the crews of the ships, the lowest paying Banana rewards players with between 2 and 50 coins should 2 – 5 land on a payline running from the left hand side, while others like Avocados, Kiwi Fruit, Papaya and the like each carry their own prizes. Picture symbols are made up of a Sextant, Crest, Sailing Ship and a friendly looking Sea Monster. All of these have higher payouts, so don’t turn up quite as often as the fruit, but it remains a colourful game that looks appealing. The best symbol however is the Gold Coin which carries with it prizes from 3x the coins staked per line for just 2 of them, right up to 6000x for getting a full payline filled with it, so having 10 coins on a line equals the biggest win of 60,000. This is also the Wild symbol, so should a player get two Sextants for example, plus the Gold Coin on a line, the Coin will count as another Sextant and result in a winning combination. The Sea Monster is a Scatter symbol, so he (or she, let’s be fair), doesn’t need to land in any set positions to bring in a prize, as long as 3 or more appear at once. Scatter prizes are different to normal ones, as they are multiples of the total amount wagered on a spin, not the coin values, so the amount won for getting 5 Scatters at once is 80x the bet. What’s unusual however, is that the Scatter doesn’t trigger any free spins round or bonus game, and in fact if free spins are your thing, then look elsewhere as there aren’t any. There is a Treasure Bonus game though, which starts off when 3, 4 or 5 of the Compass symbols appear at once. The game takes place on an old map which is covered with 30 treasure sites, and the aim is simply to click away on each one revealing the hidden prizes beneath. Players are able to carry on clicking to their hearts content until they unearth a skull and crossbones symbol which ends the round. With many years of experience, Microgaming are never likely to produce a truly poor Poker machine, and Age Of Discovery has plenty going for it. 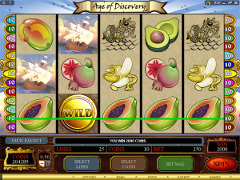 A pleasing theme that brings lively colours to the reels, smooth animations and cool sound effects are all positives, and like all games from this developer, Age Of Discovery is fully certified to be fair and trusted with all results determined at random. If there is a downside, it’s the lack of a free spins round, but the Treasure Bonus game guarantees wins, while most free spins rounds don’t. I also quite miss the Gamble game that features in so many Microgaming pokies, but as I usually end up losing this round, maybe I shouldn’t miss it too much.